The GLCD 240x128 Adapter Board is used to connect 240x128 GLCD T6963C from Toshiba with your development board or prototype device. The board includes an on-board potentiometer used to adjust graphic LCD contrast. 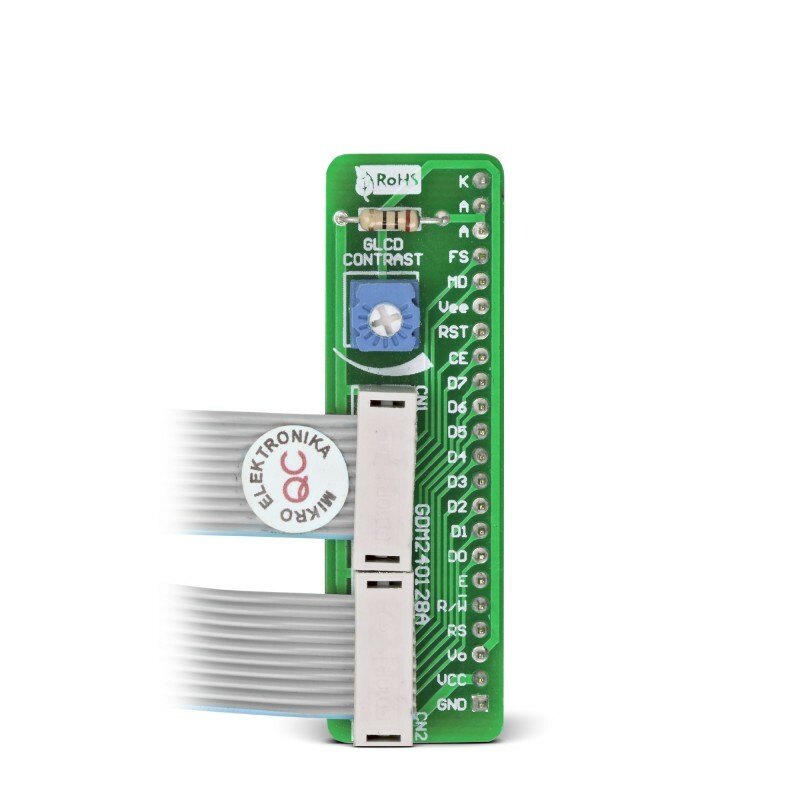 The GLCD 240x128 Adapter Board is used to connect a 240x128 GLCD with T6963C Toshiba driver to your development board or prototype device. Board features a potentiometer used for GLCD contrast adjustment. It is equipped with two long flat cables, each with IDC10 female header connector, which is compatible with all mikroElektronika development boards.